So before we begin I think we need to establish some ground rules here. As you are thinking about quitting your full-time job to do whatever you want to do, it is a must that you communicate your thoughts, feelings, and desires with your significant other — especially if you are married. Please remember that as a single mom 1. I am not married and 2. I do not have a significant other who shares child rearing and budget responsibilities in my household. I made the decision I made because I am the only one here who is accountable. If that is not your situation make sure you talk about your ideas with your significant other. As a thyroid cancer survivor, I still go and have my blood levels checked every 6-8 weeks to see if my medicine needs to be adjusted. I have to take thyroid medicine every day for the rest of my life. That’s a given. Since my total thyroidectomy two years ago, I have also had some other issues with Vitamin D deficiency, acid reflux, and anemia. So to be on the safe side, my doctor runs a full complete blood count every month. If I have 3 runs with really good numbers, I have gone 3-4 months between visits, but that has only happened once. At the end of July I was scheduled for my usual doctor’s visit. For the past year, all of my numbers had been getting progressively worse, which meant my dosage of medicine had to consistently increase. We watched the numbers for a couple of visits, and finally in May, he suggested that I come in July for actual visit, not just the blood work. 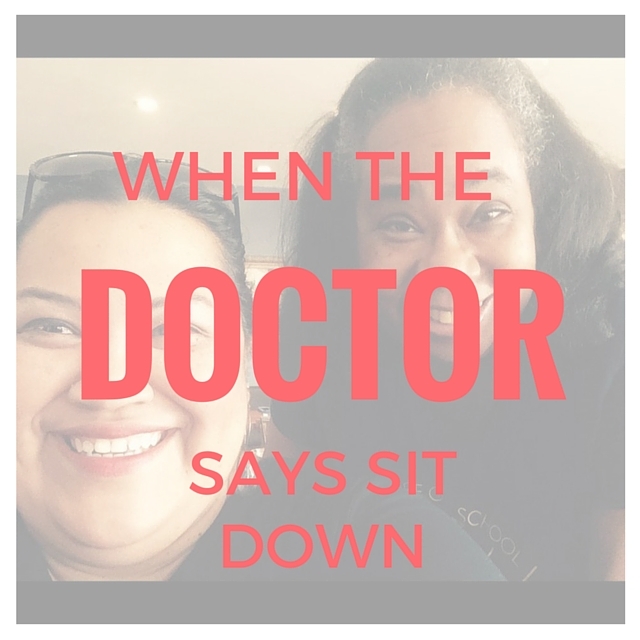 The July doctor’s visit occurred as I was in the throes of a reorganization at work. Things were changing rather swiftly at the job that I had loved for the past five and a half years. My job, which had been pretty secure, started to seem shaky. I was having migraines daily, stomach issues, and the insomnia was the absolute worst! There is no surprise that the numbers from my blood work were worse than they were when I had cancer. I left that doctor’s appointment with seven prescriptions and parting advice about reducing the amount of stress in my life. For the next four weeks, I rested and took a lot of medicine and tried to keep my stress levels low. At my follow up visit, my doctor asked me one quick question. “What changed in your life to make your numbers this great?” The answer was simple. I was not working that month. 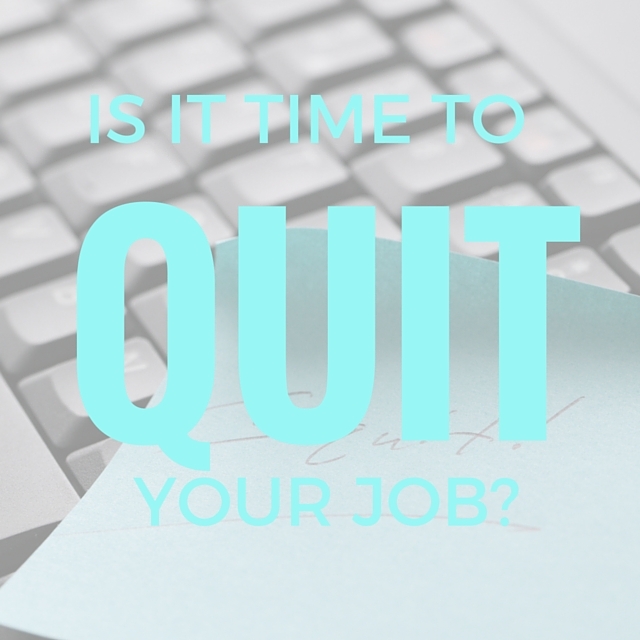 It is time to quit your job if your physical health is suffering from job stress. After the first month off, without a true exit plan. I knew it was time to go. Because August is a critical month in education, I had to make a decision pretty fast and figure out the source for next month’s groceries. Because this was the absolute right decision for me to make, it worked out. I was able to get paid at my full-month’s salary for the first month, and then I had built up another month’s worth of vacation that I got paid for. While I didn’t have an exact exit plan, I did have some money coming in from my previous employer for two months. In the very beginning, the plan was to use the first month to figure out what I was going to do beyond the two months’ income I already had. In my full-time life, I worked on several part-time projects over the years. 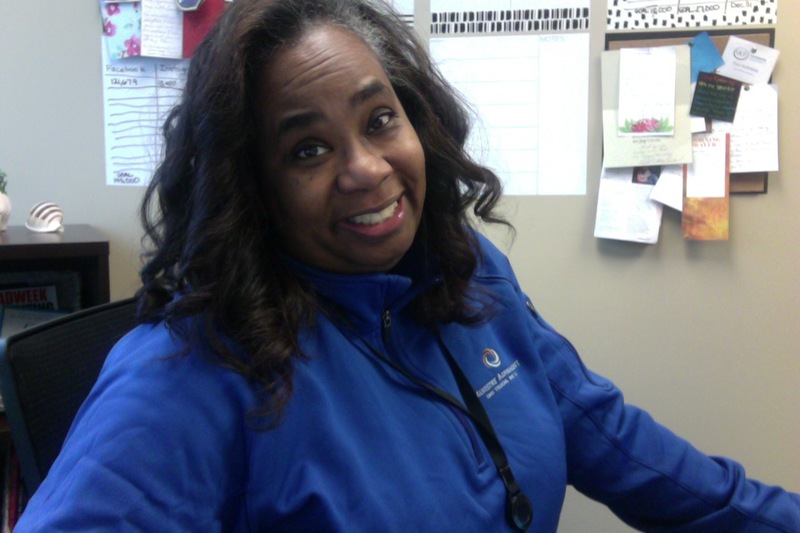 Often, those projects were in addition to my full-time job, When I was out on the initial sick leave I maintained a good relationship with those departments and I was scheduled to work part-time this fall. When I decided to quit my job, I talked to the other department and made arrangements to continue my part-time relationship with them through December. Not only does this part-time job cover my basic monthly expenses, it is my favorite part of working in education. If there had been a way for me to do the part-time job on a full-time basis, we would have been having a different conversation right now. 2. I no longer had passion for the actual job I was doing and it was not a good use of my strengths. All summer, I was asked to do tasks that were 1. a waste of time, and 2. for lack of a better word — silly. I did them because it was my job, but it the wake of all the other workplace drama, they ended up being what took me over the edge with my stress levels. 3. My job duties and work hours did not align with my family’s priorities. My kids are 12, 14, and 15 years old. Over the years, I have found that the most critical time for our family conversations is in the car after school. In the past, I’ve been able to have some flexibility and adjust my work hours and lunch breaks so I can be there at pick up. I didn’t chose that after school time for us, I probably would have preferred the dinner hour, but this is what naturally fit for us. I knew that in September, I would not have been able to pick my kids up from school and have that vital hour with them. Since I have been able to pick them up each day, I am so glad that I based my decision on the after school thing. We have addressed issues from mean girls to public displays of affection to the value of a college education to the divorce (seven years later, it still comes up.) I honestly don’t believe I would have been privy to their lives if we had other after school arrangements. While these were the three things that guided my decision, I understand that you may have other things. The important thing is that quitting your job is a big deal, and it is not a decision to be based on emotional reaction. Identifying those three points allowed me to make the decision, be able to communicate the decision, and be at peace with the decision. And peace, my friend, is what surpasses all. Did you miss any of these posts? Click on the image to read it!